The third series of Chris Lang’s Unforgotten is another corker, and not just because of Nicola Walker, honest! They’re back! 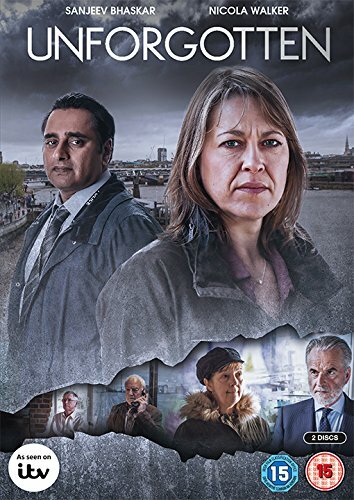 Nicola Walker’s DCI Stuart and Sanjeev Bhaskar’s DS Khan sit at the heart of Chris Lang’s cold case thriller Unforgotten and for the previous two series, have been extremely impressive. Carving out a niche in the crowded police procedural TV market is enough of a job but doing it this well is noteworthy. Blimey, I knew Unforgotten was good (here’s my Episode 1 review, and my Series 1 review) but I wasn’t expecting it to be this soul-shatteringly excellent. More fool me I suppose, Nicola Walker is a god among mortals and her presence alone is reliably proving a harbinger of excellence, but allied to Chris Lang’s scorching writing, it’s hard to imagine that we’ll see much better television than this before the year is out. In the glut of new crime series that have started this week – Death In Paradise, No Offence – Chris Lang’s Unforgotten stands out for me as a clever twist on a crowded genre, plus it has the bonus of the ever-excellent Nicola Walker in a starring role. Unforgotten’s twist on the crime drama is to completely emphasise the latter over the former, so whilst each series hooks on a cold case brought back to life, the focus is on the lives that have continued in its wake.